KDE Software Compilation is the set of frameworks, workspaces, and applications produced by KDE to create a beautiful, functional and free desktop computing environment for Linux and similar operating systems. 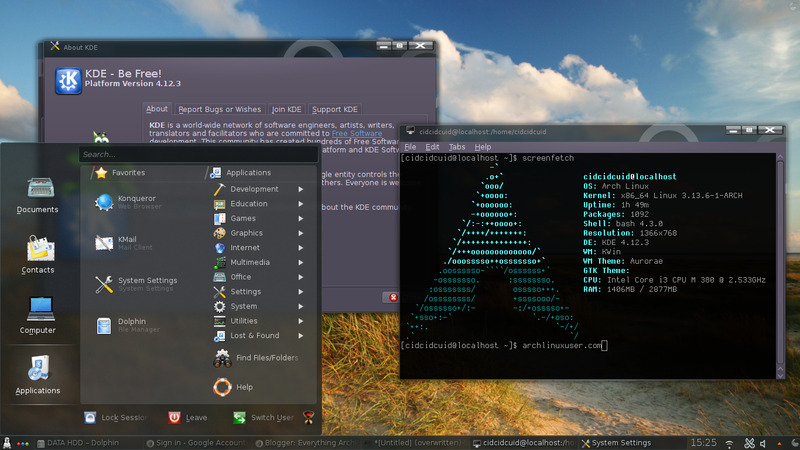 It consists of a large number of individual applications and a desktop workspace as a shell to run these applications. 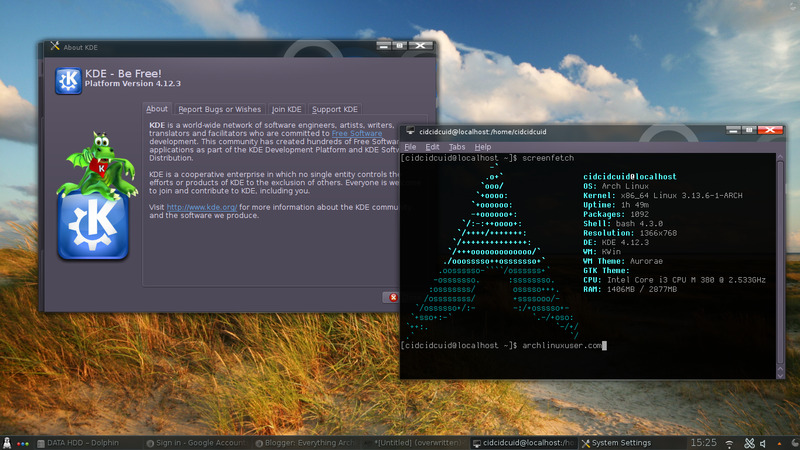 Make sure you installed archlinux (minimal install) with Internet Connection. 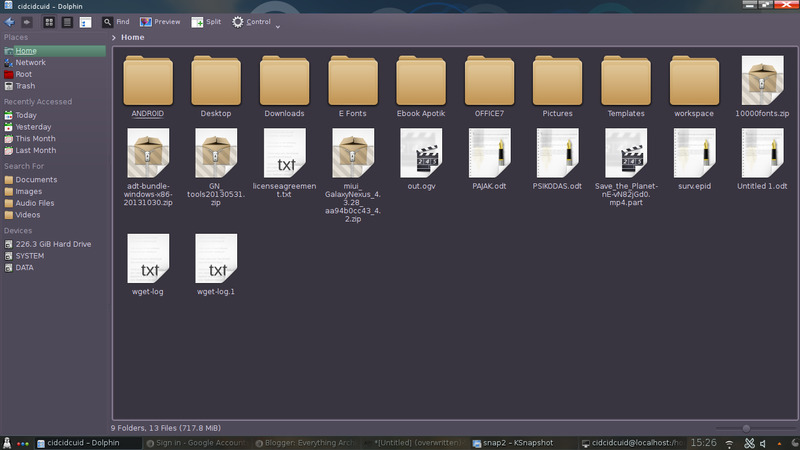 Then Type these command to install Full KDE 4 Desktop.